NEW YORK--(BUSINESS WIRE)--letgo, the fastest growing mobile marketplace for secondhand goods, today announced a merger of U.S. operations with Wallapop, another leader in the mobile classifieds sector. Under the terms of the agreement, Wallapop’s U.S. operations will be absorbed into letgo. The combined entity will be majority owned and managed by letgo and will operate under the letgo brand on the letgo platform. Existing shareholders will also be injecting $100M of new funds to grow the business aggressively. letgo was founded in January 2015 by Oxenford and Jordi Castello. Enrique Linares soon after joined as founding CEO before the company launched its app publicly in May 2015. Last fall, letgo announced that it had raised $100M in Series A funding from Naspers Limited (JSE: NPN, LSE: NPSN), one of the largest technology investors in the world. The agreement with Wallapop comes amid very strong early growth for both letgo and Wallapop, fueled by increasing consumer demand for a streamlined, modern and mobile-first alternative to older platforms like Craigslist. Both letgo and Wallapop are currently among the top shopping apps in the iOS and Android app stores. Available on iOS and Android devices in the U.S. and worldwide, letgo is a hyperlocal marketplace optimized specifically for mobile use. letgo’s simple and intuitive mobile design includes key features like search results that are automatically tailored to a user’s location, and instant chat that allows users to connect instantly and for free, without the hassles and delays of email. “With this partnership in place, no one is better positioned than letgo to capitalize on the immense opportunity for growth in U.S. classifieds,” said Martin Scheepbouwer, CEO of Naspers Classifieds. 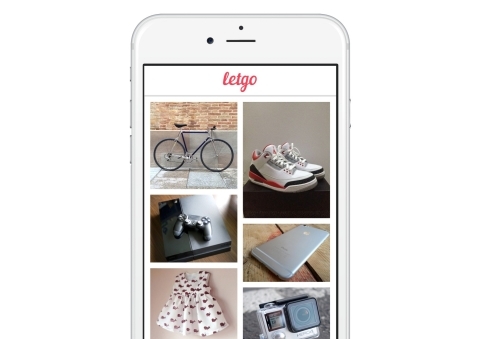 letgo’s free and highly-rated app is a fast and easy way to buy and sell used goods locally. The mobile marketplace allows users to post an item for sale and create a custom, Hollywood-style ad in seconds, plus browse what’s for sale in their area, and chat instantly and privately with other buyers and sellers nearby. letgo was founded in January 2015 by Alec Oxenford and Jordi Castello, with Enrique Linares soon after joining as founding CEO. The company launched its platform publicly in May 2015 and the mobile app has already been downloaded millions of times. Oxenford, an expert and accomplished entrepreneur in ecommerce, previously founded and scaled global online classifieds leader OLX (co-founded by Fabrice Grinda), which has hundreds of millions of active users in India, Brazil, Poland and other growth markets around the world. Wallapop is a fresh and pure mobile approach to traditional classifieds founded in Barcelona (2013). The app’s ease-of-use, immediacy and ultra-local approach have made Wallapop, in just two years, the leader in the Spanish C2C classifieds market and one of the top early mobile players in the U.S.